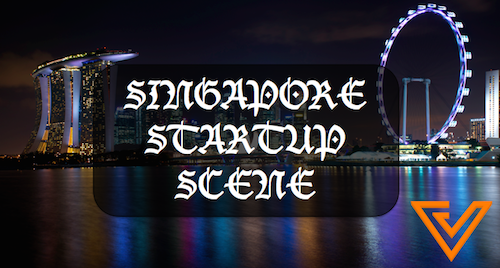 If you are a keen follower of the Singapore startup, hardware or Kickstarter scene, you would definitely have heard of Pirate3D. Talk about a successfully crowdfunded project in Singapore, and you can’t leave out the Buccaneer 3D printer from Pirate3D. The project had so much promise: it raised US$1.43 million in funding, backed by over 3500 supporters around the world. We wrote last year that despite the campaign’s huge success, the project fell short on delivery. 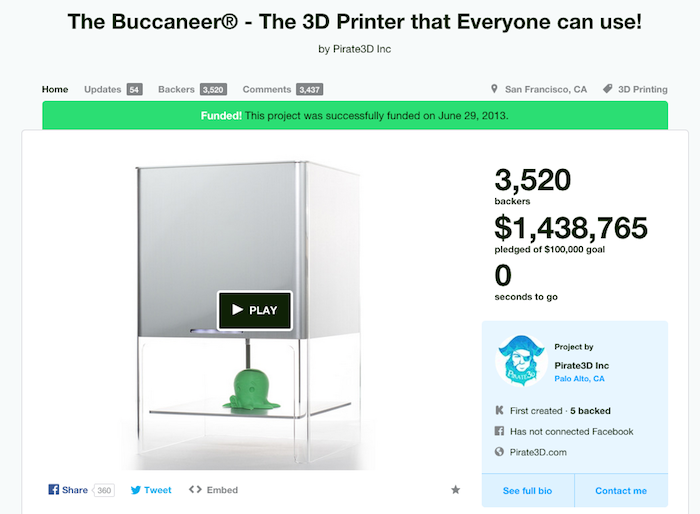 While the team behind one of the most successful kickstarter projects was working very hard to fulfil the 2,500-plus orders from Kickstarter, they had only shipped out about 200 Buccaneers to the first batch of Kickstarter backers back in September 2014, causing major dissatisfaction from its most loyal backers. However, fast forward to this July this year, and it seems the tide has turned for the better, with the team having some interesting updates to share. 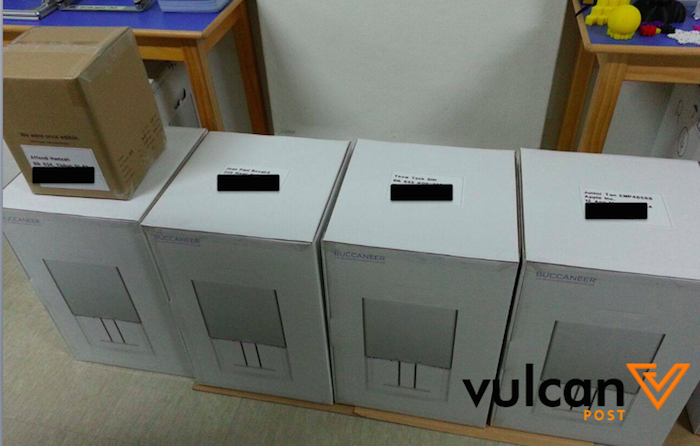 Brendan Goh, co-founder of Pirate3D, shared with Vulcan Post that this year, they have shipped more than 700 printers, and are on their way towards fulfilling their promise to their backers. 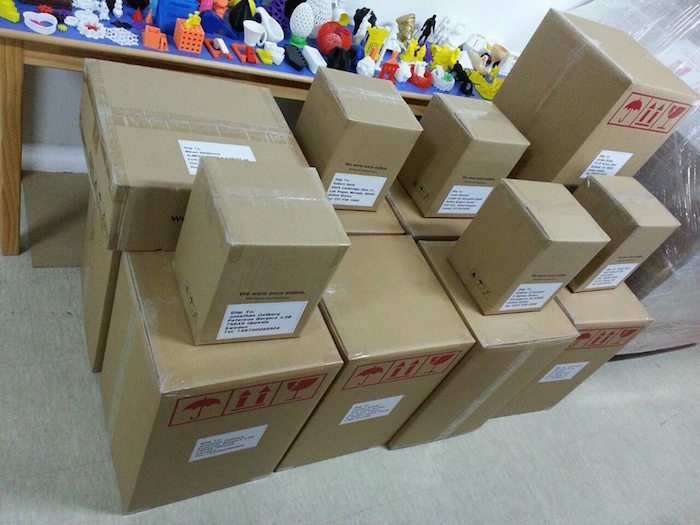 Currently, the team is focusing on shipping the 3D printers to their Singaporean backers by the end of August. “Our policy is one of continual improvement so we try to ship a batch and then do improvements, and then ship the next. It’s really thanks to our solid support and feedback from our backers that we can keep on upgrading the product,” shared Brendan. And indeed, the team has been innovating and delivering better 3D printers to their supporters. For example, they have upgraded their WiFi software so that you can connect with the 3D printer more easily than with earlier versions. They are also implementing a much stronger filament formulation at the end of July to reduce filament breakage. This will help especially in cold and/or humid climates. 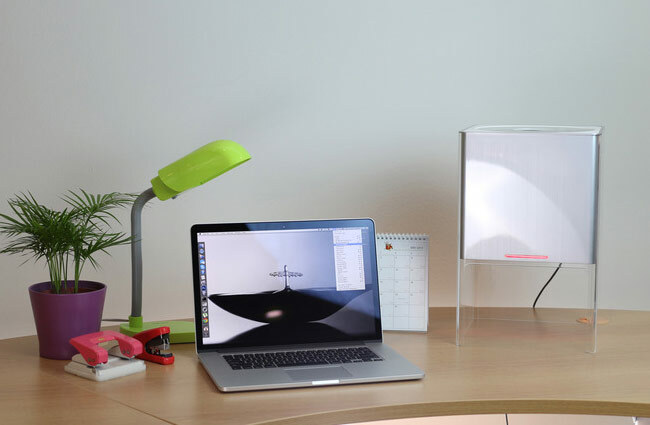 The improvements made to their product have paid off too: customers who have received the 3D printer from Pirate3D have been giving the team the thumbs up, showing that they are moving in the right direction. “The Pirate3d team is working very hard to get these printers out, from what I’ve heard, and the printers are well worth the wait. I have had some amazing prints with these printers. No printer that I have used has come near the quality of the prints this can achieve for even close to the price which I paid for the buccaneer. Below are some links to prints I have done on my buccaneer. Each print was done at 100 micron quality (medium-high quality) and I haven’t even tried the 50 micron setting yet,” shared Zachary Zieper on Kickstarter. So what else has the team been up to? Other than fulfilling orders and trying to retain the support of their fans, Pirate3D is currently working on a new consumer 3D printer which will come at a lower price point and with more functions. To make sure that the team doesn’t go through the same mismatch of expectations between its production capacity and customer demand, the team is raising a S$6 million to S$10 million series B funding, with a few companies already actively chatting them up on the opportunity.